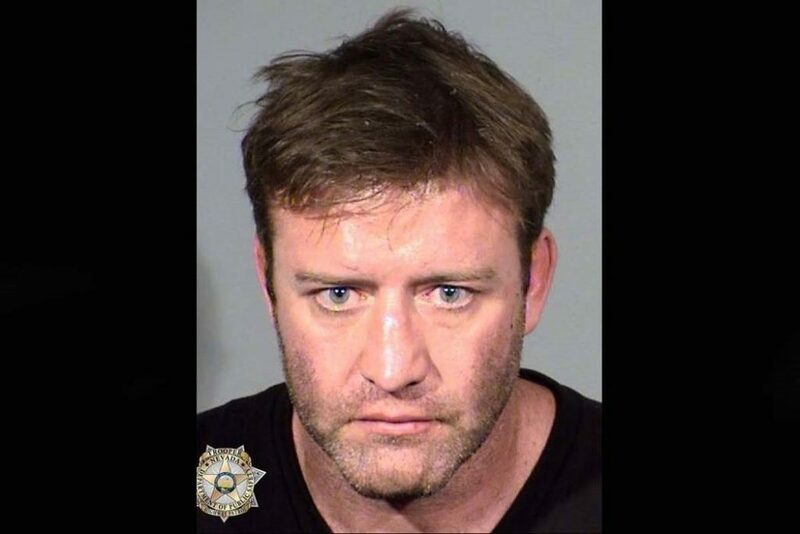 Former Ultimate Fighting Championship star Stephan Bonnar was arrested after he was restrained by citizens on Sunday. The Ultimate Fighter Season 1 runner up was driving recklessly on the southbound lane of Route 15 when police received numerous calls of an erratic driver speeding in and out of lanes. Reports by the Nevada State Police state that Bonnar reached speeds in excess of 90 mph. According to a report from the Review Journal, motorists worked together to get Bonnar’s red Cadillac CTS to stop. When troopers arrived on scene Bonnar was allegedly incoherent. When police tried to apply handcuffs Bonnar awakened and began to resist arrest. The former professional mixed martial artist was booked and charged with felony DUI as this was his third offense. He also faces a misdemeanor resisting arrest charge and other traffic offenses. He was taken to the Clark County Detention Center and is scheduled for a November 26 court date and was held on a $22,000 bond.